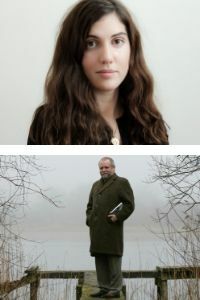 Nicole Flattery and Pat McCabe – a major literary influence of hers – discuss creative inspiration at ILFDublin’s celebration of the influence of writers upon each other across generations. ‘Irish women writers are on fire,’ said Elle magazine recently, citing Nicole Flattery as ‘yet a further brilliant example’. 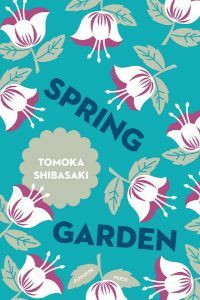 Her bold and bracing debut short story collection Show Them A Good Time confirms her position as a rising literary star. Known for his mostly dark and violent novels often set in small-town Ireland, hugely popular author Pat McCabe was shortlisted for the Man Booker prize for The Butcher Boy and Breakfast on Pluto, both of which were made into films. Pat McCabe and Nicole Flattery are in conversation with writer Danny Denton, author of ‘gangster ballad love story’ The Earlie King and the Kid in Yellow. Presented in partnership with Age & Opportunity’s Bealtaine Festival, which celebrates the arts and creativity as we age. Programmed by International Literature Festival Dublin with the support of the Royal Norwegian Embassy Dublin and NORLA. Calling all crime fans! 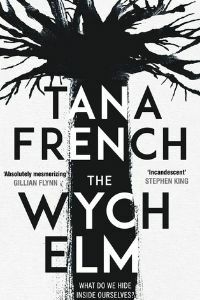 Tana French’s books have earned her a huge and wildly enthusiastic fan base at home and abroad, including none other than Stephen King, who in a New York Times review described her new novel The Wych Elm as‘extraordinary’. King said she heralds from the same ‘strange and rich territory inhabited by such novelists as Michael Robotham, Laura Lippman, George Pelecanos, James Ellroy and Ruth Rendell’. 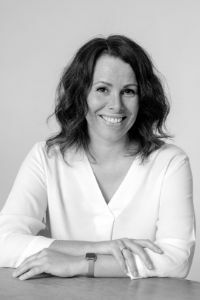 Tana French’s 2007 debut, the psychological mystery In the Woods became the first of six hugely successful books featuring the fictional Dublin Crime Squad. Her awards include the Edgar, Anthony, Macavity and Barry Awards, the Los Angeles Times Award for Best Mystery/Thriller, and the Irish Book Award for Crime Fiction. In conversation with writer and critic, Anna Carey. Roll up roll up all children’s books lovers! It’s always an honour for ILFDublin to host the Children’s Books Ireland Book of the Year Awards ceremony. The CBI Book of the Year Awards identify, honour and promote excellence in books for young people by Irish authors and illustrators, and offer a significant opportunity for national and international recognition of Irish talent. Broadcaster and book lover Rick O’Shea will announce the winners across six categories. There are limited tickets available to attend this special event,so be sure to book quick! In 1998, the Belfast Agreement (aka the Good Friday Agreement) between the British and Irish governments and most of the political parties in Northern Ireland changed the political and social landscape of Northern Ireland. Given the all-consuming Brexit crisis, it has been subject to much recent scrutiny. 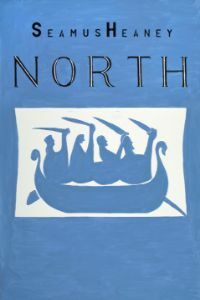 Irish Pages, the biannual journal of contemporary writing from Ireland and overseas, has published The Belfast Agreement: Twentieth Anniversary Issue, in which 42 notable literary writers, journalists and scholars comment on the achievement of the Agreement itself as well as offering their views, feelings and experience of it over the past two decades, including the present moment. Irish Pages presents poet and member of Aosdána, Moya Cannon, whose most recent collection was Keats Lives; Monica McWilliams, who played a key role in this major political development in the Northern Irish peace process of the 1990s; and journalist, author, and founding Director of the Centre for Cross-Border Studies, Andy Pollak. The event will be chaired by Chris Agee, Editor of Irish Pages. Theatres and venues across Ireland are hungry for quality programming ideas, while funding bodies would like to see more ambitious literature events and projects touring the country. Words Ireland supports writers, creative directors, and producers of all kinds to realise theirideas. Informative and inspirational, the Literature Producers Forum also showcases Words Ireland’s ambitious first production Mirrors, created by Dani Gill. 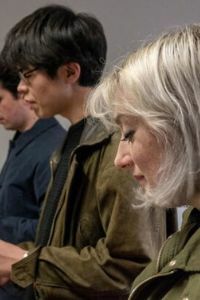 The Forum will: Examine the spectrum of ‘literature programming’ (such as performances, education programmes, residencies, collaborations), and discuss best practice. Experience a dynamic presentation from UK producer Julia Bird of Jaybird Live Literature on creativity and process. Get the inside track from venue managers and festival directors as to what audiences really want. Reveal the funding avenues available to producers. 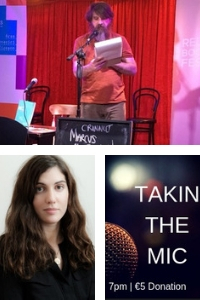 An unmissable opportunity for programmers, funders or producers of literature events and projects! Produced by Words Ireland, the collective of seven Irish literature resource organisations. Ticket includes free access to Mirrors. A fascinating hybrid of literature, projection, holographic imagery and live performance featuring poet Jessica Traynor and fiction writer Nicole Flattery. 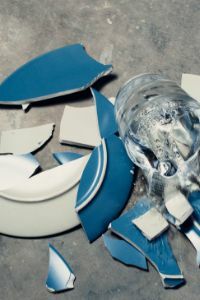 Curated by Dani Gill, this immersive story-telling experience explores the lives of multiple female characters, using soundscapes, fractured narrative and visuals. 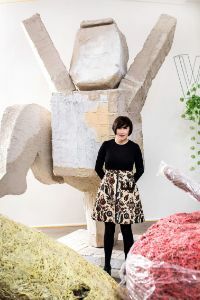 Jessica Traynor, author of the collections Liffey Swim and The Quick, is a former Hennessy New Irish Writer of the Year, who was commissioned by the Irish Writers Centre and Ireland 2016 to be a part of A Poet’s Rising. Nicole Flattery, whose bold and bracing debut Show Them A Good Time is out now, was recently described as in the Irish Times as ‘a bright new voice in Irish literature’. Produced by Words Ireland, the collective of seven Irish literature resource organisations. When Irish architect and furniture designer Eileen Gray created E.1027, she told a story with a building. Designed and built between 1926 and 1929 as a retreat for herself and her lover, the architect Jean Badovici, E.1027 is one of the most beautiful and deeply personal houses of the modernist era. Considered to be Gray’s first major work, it blurs the border between architecture and decoration. Award-winning design critic and the author of critically acclaimed books such as Hello World: Where Design Meets Life and Design as an Attitude, Alice Rawsthorn traces the fascinating story of E.1027 and how Gray’s joyful and optimistic design led to tragedy and turbulence – and what that reveals about architecture’s gender politics. Don’t miss Eileen Gray’s E.1027, the extraordinary story of an extraordinary building. What do you do when your brother says he’s not your brother at all, and that he thinks he’s actually . . . your sister? 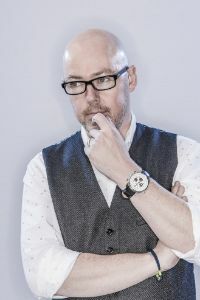 Don’t miss this exclusive opportunity to hear internationally bestselling author John Boyne discuss his new novel for young adults with our Teen Curators, students from The King’s Hospital School, Dublin. Written with his trademark wit and empathy, My Brother’s Name is Jessica is a stunning and timely story of gender identity and family life. Go on… what are you waiting for? 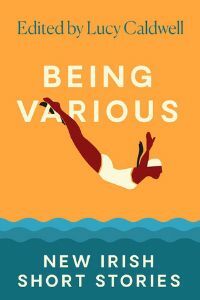 ‘For queer artists of a certain age we just assumed that to write was to experiment,’ Andrea Lawlor, a gender queer novelist and lecturer, told The New York Times. Andrea Lawlor’s debut novel Paul Takes the Form of A Mortal Girl offers a speculative history of early 1990s identity politics during the heyday of ACT UP and Queer Nation. 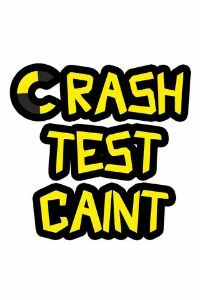 Shapeshifting Paul can transform his body at will – setting in train a series of riotous adventures that take him on a journey through a world gutted by loss and pulsing with music. 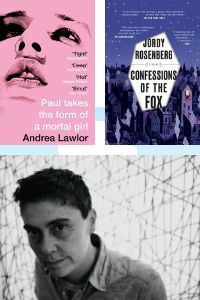 A transgender novelist who teaches 18th century literature, gender and sexuality studies, Jody Rosenberg’s first novel Confessions of the Fox – self-described as a ‘faux 18th-century thriller’ – reimagines the remarkable legend of the 18th century English thief and jailbreaker Jack Sheppard as that of a transgender man. Andrea Lawlor and Jordy Rosenberg have been best friends for 25 years.